Anita studied martial arts from the age of nine, achieving her black belt in Goju Ryu Karate at the age of sixteen. This began her interest in body movement, alignment and mechanical function and introduced the concept of the body-mind connection. She travelled to Okinawa at the age of eighteen, to train with the Japanese masters and to take part in the World Goju Ryu Karate Championships. She then went on to study Osteopathy at the British School of Osteopathy in London, qualifying in 1996. Her first year in practice was at the Thame Therapy Clinic, after which she moved to Essex and for the next ten years, practised in a multi-disciplinary clinic in Brentwood and ran her own practice from home. During this time, she also studied Iyengar Yoga at the South London Iyengar Yoga institute. After a two-year teacher training programme, she achieved her Iyengar Yoga teaching certificate. In 2004, she trained in Pune, India with the Iyengar family. Anita will often give patients yoga-based exercises that focus on the individual’s particular problem areas. Anita also teaches yoga classes at the Thame Barns centre (Tue 11:30-1:00 and Thurs 19:30-21:00). Anita has also studied many aspects of nutrition, including the benefits of supplements, adequate hydration and optimum food requirements. Her particular area of interest is in the benefits of raw foods and “superfoods”, which are high in essential vitamins and minerals. Deficiencies in the body’s basic nutritional needs are identified and suggestions are made in areas of the individual’s diet that could be improved. Alternatives to wheat, dairy and sugar are suggested where appropriate and advice is give on foods to eat that will improve body function and resistance to disease. Anita’s most recent studies have been attending several workshops in Thai yoga massage techniques, partner yoga and acrobatic massage. Anita combines her knowledge of Osteopthy, Iyengar Yoga, Nutrition and Thai Massage techniques to provide a holistic, patient-centered approach to treatment. 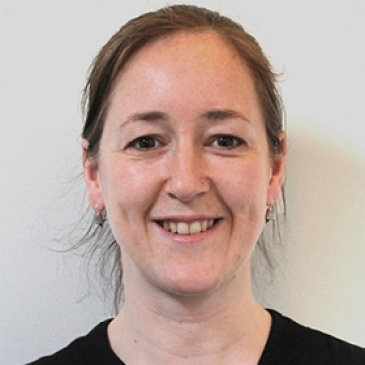 Anita moved back to her hometown of Oxford in 2007 and has been working back at the Thame Therapy Clinic in the last couple of years as well as running her own practice in Oxford. She is available for treatments at the Thame Therapy Clinic on Thursday afternoons.